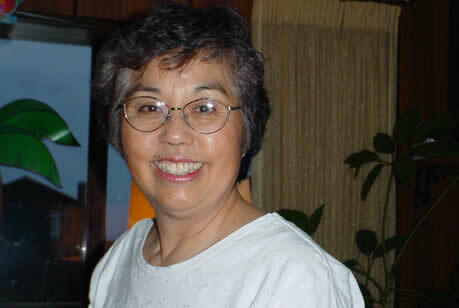 Christina Tamaye Teraoka Harui, owner of Bainbridge Gardens, passed away at home on Bainbridge Island on September 22, 2014. She was 82. Born on February 10, 1932, Chris grew up the middle child of five, farming in Seattle and south King County. She was incarcerated with her family first at Camp Harmony in Puyallup and then the Minidoka War Relocation Center in Idaho during World War II. Chris was the first of her family to go to college. At the University of Washington, Chris earned a Bachelor of Science degree and met her husband, Junkoh. They were married for 50 years, separated only by Junkoh's passing in 2008. 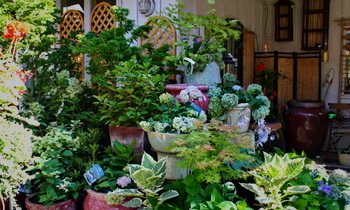 In 1958, Junkoh and Chris opened Bainbridge Island's first florist, Town and Country Florist. As the business grew, they added a nursery and moved to a larger location which became well-known along Highway 305. 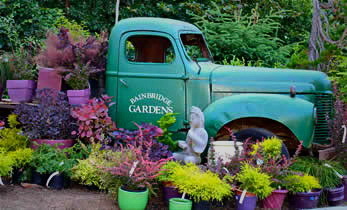 In 1989, Junkoh and Chris moved the nursery to its present location, renovating the site and renaming the business "Bainbridge Gardens." Chris will be remembered for her incomparable vegetable garden at the family home in Winslow. Gardening and food were her passions. She could be found in her garden well past dusk in the summers and she unhesitatingly shared the bounty with family, neighbors and staff. Chris cared deeply about her family, her friends, her coworkers and customers. Her one-of-a-kind dishes, baked goods and holiday meals were the core of family gatherings and the staff lunch table. Chris loved her grandchildren and the memories she created from time spent with them will be treasured always. Chris impressed many with her tenacity; in her 80's, she was still working full time when she was diagnosed with pancreatic cancer in June. Chris is survived by her children, Donna Harui, Bainbridge Island; Alex Harui (Cynthia), Bainbridge Island; Roger Harui (Greta), Seattle; Sandra Harui (John Vanderzanden), Seattle; and seven grandchildren, Sam and Leah Bouillon, Ella and Alise Vanderzanden, and Nolan and Jordan Harui, and Noah Webster, as well as by her brother Ben Teraoka, Kent; Tom Teraoka, Franklin City, TN; and sister Betty Yamauchi, Irvine, CA.